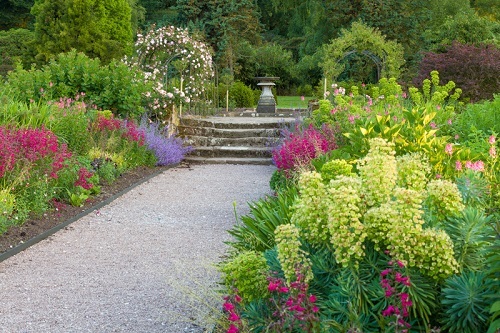 Cholmondeley Castle Gardens is one of Cheshire's Gardens of Distinction. see why! The Cholmondeley Family have lived at Cholmondeley in Cheshire since the 1200. The Castle, built in the 19th Century by the first Marquis proudly overlooks 70 acres of sumptuous gardens which display magnificent colour throughout the year. 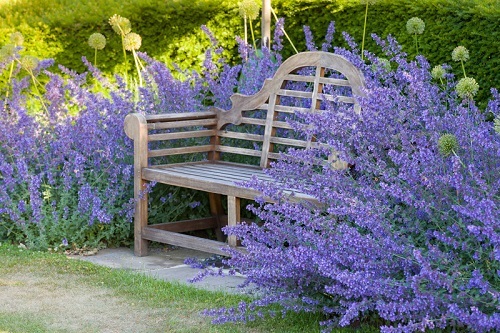 Visitors will enjoy the tranquil and romantic Temple and Folly Water Gardens, Glade, Arboretum and ornamental woodland. The extended Rose Garden has been planted with 250 roses and a 100m long double herbaceous border has been created dedicated to Lady Lavinia and continues her legacy within the heart of the gardens. Tower Hill offers visitors the opportunity to enjoy a woodland ramble amongst interesting shrubs and trees. Visitors can also wander the historic Parkland to visit St. Nicholas Family Chapel to admire the stained glass alter window and ornate panelling and walk around the Deer Park Mere nature trail to enjoy the tranquil suroundings, wildlife and spectacular views of Cholmondeley Castle itself. The Tea Room is situated in the heart of the gardens. Our Gardens are now closed for the season and will reopen to the public on Sunday 7th April 2019. We do however have an additional opening on Mothering Sunday 31st March. Please see website for details of this and other 2019 events. Partial disabled access, Tea Room with small gift area. If you want to take a break near Cholmondeley Castle Gardens, why not stay in one of our recommended hotels. Each hotel has genuine guest reviews enabling you to book from anywhere in the world in total confidence. Not only do we feature hotels near the garden, we also feature hotels worldwide and at all major airports. Special prices up to 70% off standard rates as well as hundreds of exclusive deals. 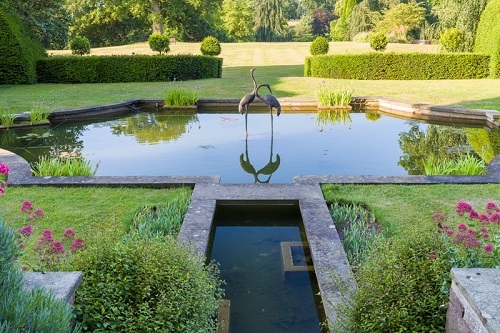 Look now for Cholmondeley Castle Gardens - click here.